FEELS LIKE THE COUNTRY BUT ONLY MINUTES FROM SCHOOLS , SHOPPING. 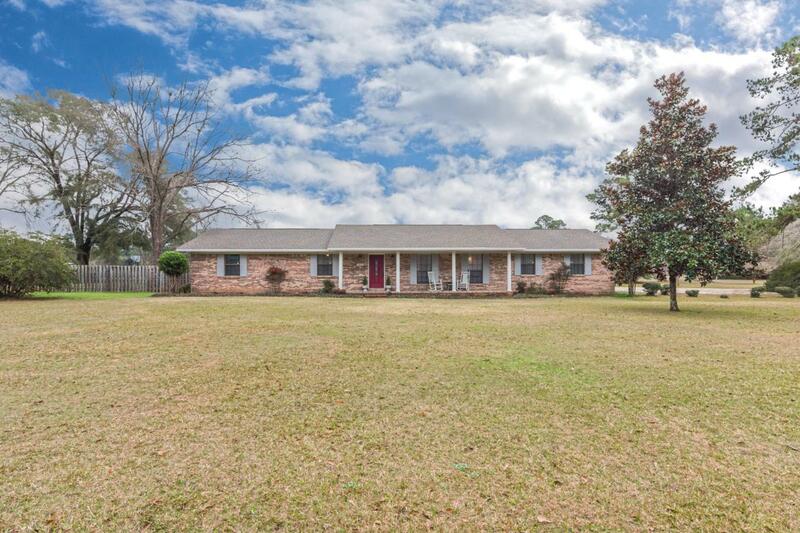 THIS WELL MAINTAINED HOME HAS PLENTY OF SPACE FOR ENTERTAINING FROM THE FORMAL LIVING/DINING COMBO TO THE GREAT ROOM WITH WOOD BURNING INSERT TO THE THEATER/GAME ROOM! EVEN OUTSIDE YOU HAVE A 16X32 IN-GROUND SPORTS POOL WITH SCREENED ENCLOSURE (2016), GRAPE ARBOR, COVERED PAVILION AND FIRE PIT FOR RELAXING IN THE EVENING, EASY MAINTENANCE FLOORING THRU-OUT (TILE AND LAMINATE), BUILT-IN DRESSERS IN CLOSETS GIVES EXTRA SPACE IN THE ALREADY OVERSIZED BEDROOMS, KITCHEN FEATURES DOUBLE OVEN, MICROWAVE &BAY WINDOW BKFST NOOK, HALF BATH OFF LAUNDRY ROOM, CORNER LOT WITH MANY BEAUTIFUL TREES, COVERED FRONT PORCH, PRIVACY/CHAIN LINK FENCING IN BACKYARD (NO FENCING ON ONE SIDE). FRESH PAINT INSIDE, CALL TO SEE TODAY!